Surface laser vein treatment is similar in the effect but differs in application to Sclerotherapy. Passing a targeted laser light on the surface of the skin, the spider veins absorb the heat from the laser, the tiny blood vessels coagulate and are then absorbed into the body. Our physicians use a high-powered StarLux 500 laser, the most powerful laser system on the market. This versatile system includes advanced comfort techniques with superior cooling as well as enhanced deep treatment options. 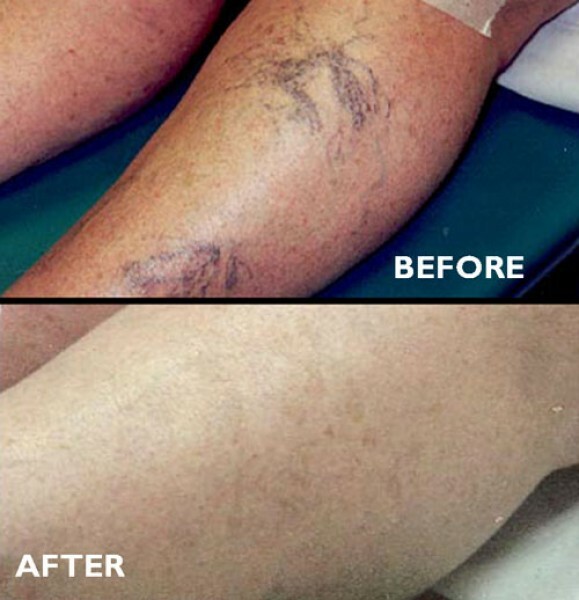 The Cincinnati Cosmetic & Vein Clinic physicians will carefully examine your spider veins and decide on which treatment option is best for you, or if a combination of treatments will obtain the best results. The procedures are all done in about an hour in our clinic office. With expertise and precision, our physicians can help you look and feel your best.